THE MANAGER will be forced to deal with key player absences from the back four who kept a clean sheet against league champions Halkirk United on Saturday, as the Saints travel to the Dammies to meet Thurso in their fifth league match of the season. St Duthus currently sit second in the league following last week's sensational win, and Stuart Ross has been full of praise for his side. I was delighted for us to take the three points last Saturday. It was an excellent performance and we'll be looking to take that renewed confidence and momentum into the game against Thurso. The young lads who were called in adapted very well and pulled it together to give those who came to watch a cracking performance. We can now look forward to this weekend with our heads held high. Aside from the usual absences, the Saints will be without trialist Adam MacDonald, who impressed at full back against Halkirk, while birthday boy Will Ross is also unavailable. Stuart Ross will look to welcome Joe Sutherland back in to the fold, as well as Andrew Miller, who missed Saturday's match due to a travel issue. 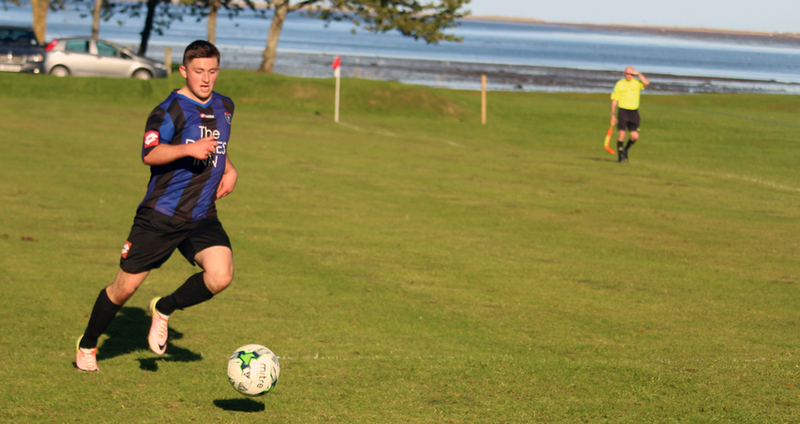 Thurso will be keen to put three points on the board, having played just three games thus far, advancing to the semi final of the Football Times Cup with a 3-2 win over Golspie and a "scratch" win over Inverness Athletic, who withdrew from the competition. Thurso's league form has been indifferent thus far, with one win and a loss, but the "Vikings" are recognised as seasoned campaigners in the North Caledonian League and will no doubt be a strong side on their home turf at Sir Georges Park, aka The Dammies. This Saturday's match will be Thurso's first home game of the season, after Inverness Athletic withdrew from the Caithness side's first scheduled home game last week.